Stephen enjoys treating sedentary and active individual’s injuries/pains. His fascination with anatomy and physiology has lead him to study Sport and Exercise Science at the University of Canberra and to continue into Occupational Therapy. 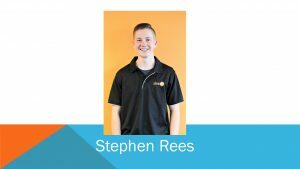 Stephen has participated in a variety of sports and knows what it’s like to injure himself. He has played soccer for over 14 years and participated in athletic events for 6 years. Stephen has also competed in the SSAA 2014 Junior Nationals for Target Shooting. Stephen’s goal in life is to make everyone’s a little easier. Stephen is available at the Macquarie clinic.